Hey there! I’m Krista, I’m 28, I live in Traverse City, MI and I absolutely love northern Michigan. My history with sharing my journey on the internet goes way back to 2010 when I started my first blog, Healthy Berg. (I don’t update it anymore, but you may click here if you want to check it out.) I posted regularly on that site for about 2 & 1/2 years, and my entries chronicled my weight loss journey during my final two years of pharmacy school. Before I started that blog and during the time that I wrote it, I lost a lot of weight by calorie counting and exercising and I would frequently write about my daily eats and exercise routines. However, things happen and life changes, and eventually I found my blog posts decreasing in frequency to the point where I was hardly ever posting at all. It seemed that I had outgrown Healthy Berg in more ways than one and I was ready for a fresh start in the blogosphere. Fall 2013 was when I really started to feel like I needed a change in my life and I began to arrange a job relocation and a move downstate. That move came to fruition in July 2014, and I packed up my Traverse City apartment and moved down to the big bad city of Grand Rapids. That is when I also started this new blog, Urban Impulse, to document my experiences as I started this new chapter of my life. Well, as much as I love Grand Rapids, it didn’t take me long to realize that living there was just not for me. 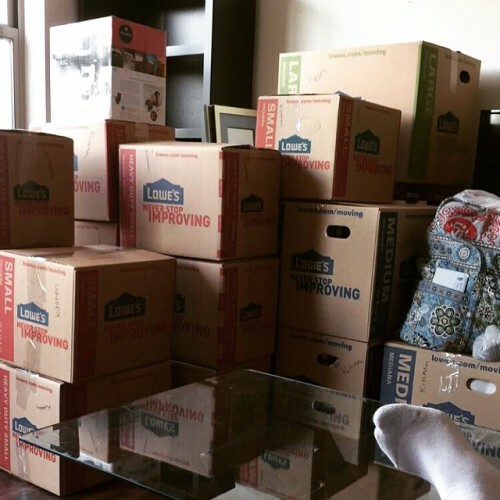 You can read more about that in this post, but long story short is that exactly one year after I moved down there, I was packing up my apartment to move back up north. I decided to build a house here in TC and I’ve lived in it for about two years now (Click here for a house tour vlog). I’m so happy and grateful to live in such a beautiful area and I don’t plan on ever leaving. Now that you know a little more about me and my roots, here’s a rundown of my weight loss history. I have struggled with my weight for my entire life, which is no secret since I have blogged so much about my struggles and triumphs regarding the subject. As you can see, I’ve been a lot of different sizes. In my last 3 years of college, from 2010-2012, I lost about 110 pounds. The photo on the left was me at my heaviest in college, the middle photo was the smallest I have ever been, and the photo on the right was recently taken in August 2017. After college I gained all of the weight back that I lost, plus about 35 additional pounds, over the course of 5 years. It’s not something I’m proud of but it’s reality and it happens. Since college I have probably “started over” with a weight loss plan over 20 separate times and every time I have given up and gained back any weight I lost plus more. It is the most frustrating thing I have ever had to deal with and fighting this constant and never-ending battle with your weight can be so depressing and discouraging. It seemed like no matter what I did, I just could not keep myself motivated to stay on track and I started to worry if I would ever be able to get this stubborn weight off for good. Well, I recently found my motivation when my family booked a trip to Hawaii for January 2018. There are a lot of things I want to do in Hawaii and I refuse to let my weight hold me back from participating in all of the things that Maui has to offer. I plan on hiking, zip lining, parasailing and jumping off waterfalls (just to name a few) and I will regret it for my entire life if I don’t get some of this weight off before my trip. I started Weight Watchers in May 2017 and so far have lost almost 30 pounds. I feel like something has finally clicked, and I am hoping and praying that this is the missing link that I have been looking for in my weight loss journey. My mindset is different, my goals are different, my lifestyle is different — just, everything is different. I’ve learned a lot in the last 8 years and I hope my struggles and experiences will only help me become the best and healthiest person I can possibly be. I would love if you would follow along in my journey. I also have a YouTube channel where you can find vlogs and random videos of my life. It’s definitely a possibility 🙂 and it’s not that I don’t like to blog about food – because I do – I just don’t want my WHOLE blog to be about food!